"My name is E. X., 37 years old, from Morphou, now a citizen of Lemesou [Cyprus]. I work as a stewardess and a teacher of Italian. On Sunday June 28th 2008, I awoke early and felt a little weak. I had a slight fever, and I decided to go to the Polyclinic, so that they might do some tests and that I might get over this fast, because I had planned a trip to St. Marina on Andros with my mother. On Monday June 29th, I did not feel better, and I decided to go again to the Polyclinic, because the date of the trip was approaching, and I was not improving. In the Polyclinic, my doctor was also my mother's doctor. He ran some tests, but did not find anything, other than a slight fever and the weakness that I was feeling. Thus, for precautionary reasons, he decided to keep me in the Polyclinic, despite my denial. I told him: "It's not going to happen. I'm going on our planned trip, and after I can return to the hospital." His response was negative, even though I didn't think that I had something serious, other than some low-grade fever and weakness. The next day, June 30th, my mother in law visited me and gave me a paper icon of St. Luke [the Surgeon]. I did not know who this saint was, but I put the icon under my pillow. Wednesday July 1st, my condition worsened. They ordered a CAT scan, which showed infection in my abdomen. At the time that they were running the test, I saw very clearly that four eyes were following me. I tried to see better, to discern a face, but I couldn't. After the test, they transferred me to the ICU, but I was fighting, because I lost the icon of St. Luke. My mother-in-law gave me another, but we found the former one on my back. Thus, I kept the two, one in each hand. On the morning of July 2nd, 2008, the infection had spread to the lungs. Thus, on Saturday, not knowing where the infection was coming from, but also not being able to fight it despite strong antibiotics (I was made into a pin-cushion [from all the tests]), they decided to operate on me. The septicemia had progressed rapidly, and they said that by the evening, I would die. I, however, despite my worry, felt that I would get better, and I had the little icons in my hand when I went into the operating room, and I gave them to the anesthesiologist to watch over during the operation. They took out my gallbladder, which was normal, and I had fallen into a coma for three days. My state was very grave, and all were waiting for me to die. The doctors did not give any hope to my family, because the septicemia had progressed rapidly, and the lungs were not left working to breathe. However, the miracle occurred, when everything else looked as if it were finished. On the third day, Fr. P. came, bringing with him a small piece of the [incorrupt] heart of St. Luke. He crossed me with the heart of the Saint, and I, as he told me, at that instant, opened my eyes. From that instant, my body had begun to fight the septicemia from nowhere and to progress. Ultimately, I was totally healed. For the doctors, this was unexplainable. All those who were faithful related that this was from a miracle. The rest tried to give a medical justification, but could not give an explanation. While I was in the hospital, they brought me and I read the book with the life of St. Luke [the Surgeon] (and my physician in this case), and I felt that he had the holy Unmercenaries Sts. 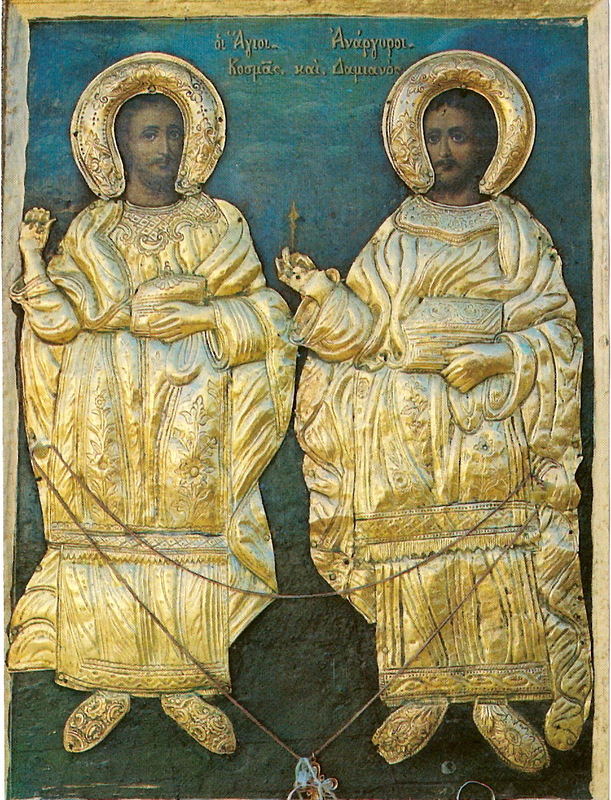 Kosmas and Damian as his helpers. Then I remembered and understood why I had my CAT scan on July 1st. It was the day of their feast, and they were the right hand men to St. Luke in the operating room. My sister-in-law's aunt was on that day at the Monastery of Panagia Dobra in Veria. They served Paraklesis, and the Abbot told her that St. Luke, together with the holy Unmercenaries Kosmas and Damian, would be with me." Fr. 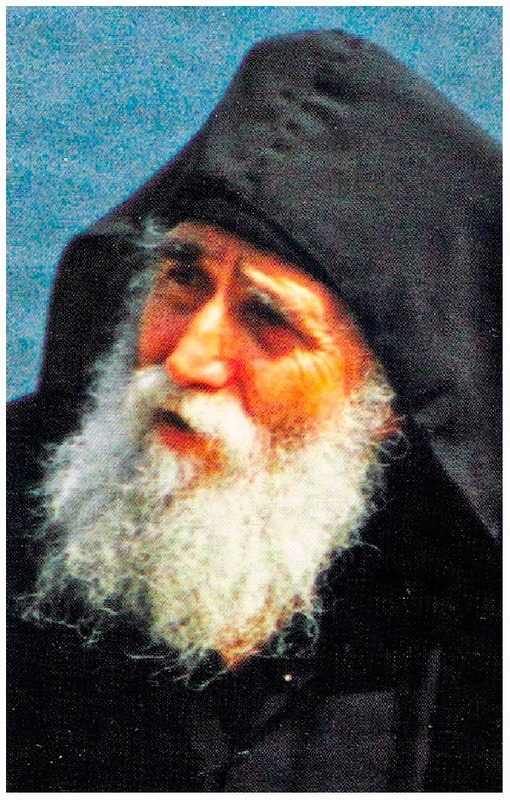 Nektarios Antonopoulos, Abbot of the Holy Monastery of Sagmata: "Tachys eis voetheian..." ("Speedy to help..."), the miracles of St. Luke today, published by Akritas. Amateur translation of text from source. The Apostle of the Jews [i.e. St. Peter] and the Apostle of the Gentiles [i.e. St. Paul] departed to Christ on the same day, as if indicating their equal nearness to God and the oneness of the Church of Christ, in which there is neither Greek nor Jew (Col. 3:11). Therefore, the day on which the earthly labors ended for "the leaders of the Apostles, who labored more than all," who "separated in body, are together in spirit," became one of the memorable days for the whole Church. The feast of the Holy Apostles Peter and Paul indicates the lot of the Holy Apostles here on earth and reveals the glory which followed it. To go over the earth with the preaching of the Heavenly Kingdom, in this emulating Christ by their poverty, endurance of dishonor and suffer­ings, by their love for the children of the Heavenly Father, their inward torments of childbirth over those who heeded their preaching and their grief over those who paid no heed to their words, and finally by offering themselves as a sacrifice—this was the earthly lot of the Apostles. 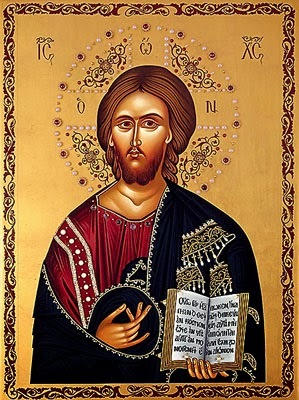 -St. John of Shanghai and San Francisco, "Sermon of the Feast of the Holy Apostles Peter and Paul"
The commandments of God are greater than all the treasures of the world, and for whoever keeps them, God is found within them. To men, poverty is abominable, but to God, the prideful soul and the high-minded and conceited nous is more abominable. Wealth is honored by men, but God honors the humbled soul! Elder Ephraim: Let us never loose hope! There is no sin on earth which is unforgivable for the person who will repent, and for the God of love Who receives him. God is pleased and takes rest in the man who repents, no matter how great a sinner he is. Repentance is always open to every sinful person. God desires only the confession of the error. From there forward, all things are perfected. Through humility comes confession, and confession brings purification, and purification brings the vision of God. The tears of the repenting soul purify the heart, the nous, the soul, the body, the life, the word, and purify more than every expression of man. Let us never loose home. Even if we fall and are traumatized, let us not loose hope. As long as God grants us life, let this become an approach towards God, for He waits for us. If God were not incomparably merciful, no one would be saved. Our Christ waits for us, we should not procrastinate and put it off. When the body is tried, then the soul is sanctified. With sickness, our body is pained, this mud-built house of ours, but thus its tenant, our soul, will rejoice eternally in the heavenly palace which Christ will prepare for us. With this spiritual logic, which is irrational to worldly people, I rejoice and I am proud for the bodily harms which I have. The only thing that I don't think about is that I will have a heavenly reward. I understand that I am redeemed from my thanklessness towards God, as I have not returned His great gifts and benefactions. Because in my life, everything has been a feast: I partake of monasticism and my afflictions. All are benefactions which God has wrought, and all mercies. Pray, however, that I not be satisfied with these in this life, because this would be to my woe! Christ gave me a great honor to suffer even further for His love. It is enough that He strengthens me so that I might bear it, and I don't want any reward. I post this especially for the women, children, or anyone else who may be unable to reach Vatopedi Monastery to venerate this wondrous treasure from the Theotokos. 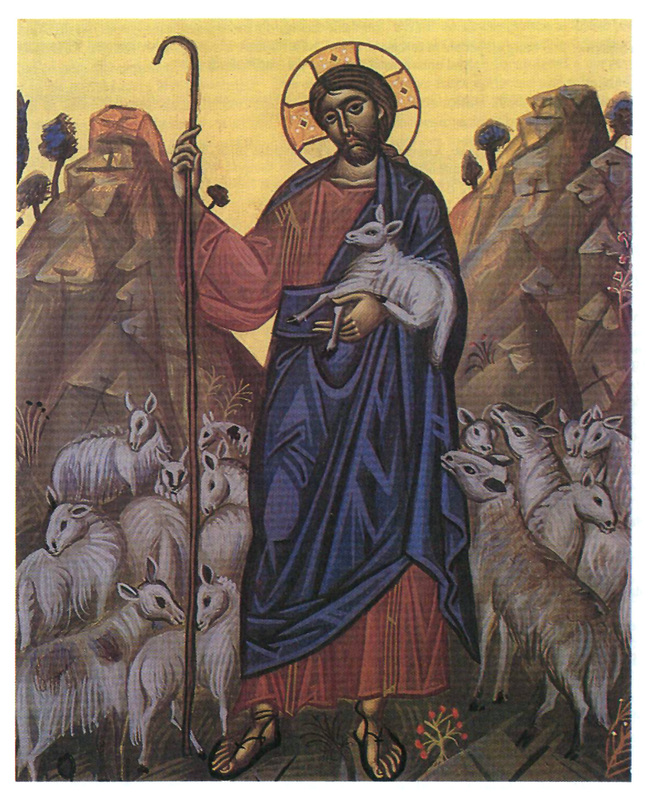 Please take advantage of receiving the Panagia's blessing, if you are able. During the celebration of the 20th "Pavleia" [celebration in honor of St. Paul] of the Holy Metropolis of Veria, Naousis and Kampanias, on June 24th at 6:30PM, the Holy Belt [Zoni] of the Theotokos from the Great and Holy Monastery of Vatopedi [Mount Athos] will arrive in Veria. The program of the arrival consists of the reception on Metropoleos street of the the town by the Mayor, and continues with a litany of the Holy Belt to the Metropolis Church of the Holy Apostles Peter and Paul, where they will be put forward for veneration by the faithful. 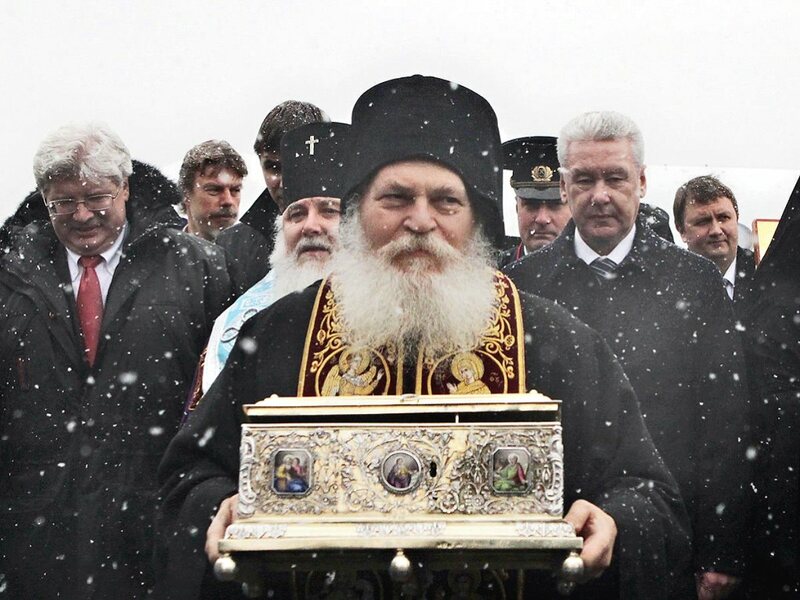 The Holy Belt will remain in the church until June 30th at 11AM, at which point it will leave again for Mount Athos. The Church will remain open from 7am to 10pm. For the website of the Metropolis, see here. Only two words, and these began a revolution in the soul of the publican. He arose immediately, and threw down his money and followed Christ. What does this mean? It means that the call of Christ can summon within the soul of man a revolution. In the lives of the Saints there are many examples of men who returned to Christ after one word of the Gospel. From my experience, I know that one good word can startle the soul of the sinner, as it startled the soul of the tax-collector Matthew. People who are choking in sin, thieves, robbers, and murderers, when you tell them a good word and show them the love, condescension and reverence of your person, are moved greatly. And we sinners, weak and insignificant men, with one word of love and reverence can move and startle the hearts of sinners, as did the Lord Jesus Christ. Remember this, and never condemn sinners, that we not stigmatize them, but offer to them love, showing reverence to their person, even if they themselves do not honor it, and though they have trampled upon it. The Pharisees resented that the Lord Jesus Christ socialized with sinners, harlots and tax-collectors. They disdained these people and perceived it as unclean to communicate with them. They never spoke to them, but they spoke ill of them, and condemned their behavior. The Pharisees were unable to comprehend Christ's behavior, and they were displeased at his stance towards sinners. But the Lord responded to them with the following: “Those who are well have no need of a physician, but those who are sick.” (Matthew 9:12) He came to save sinners. With love He embraced every sinner and sought to lead them to salvation. Of the Pharisees who complained about him, He said: “Go and learn what it means: 'I desire mercy, and not sacrifice. '” (Matthew 9:13) The Scribes and Pharisees placed their hope of salvation in their sacrifices and their prayers, and the Lord says that He does not desire sacrifice, but mercy, mercy towards sinners. Sacrifices were necessary in the Old Testament, because they were a foreshadowing of the One Sacrifice which the Lord Jesus Christ offered upon the Cross at Golgotha. When this Sacrifice was offered, the other sacrifices lost their meaning and intention, and because of this we do not offer them any more. Now, the Lord does not expect any sacrifice but mercy. He expects from us compassion towards all sinners and those disdained. Our behavior towards these people should be the same as that which He showed. Let us not act as if anyone, anyone is lower than us. Let us behold our own sins and not those of the other, let us obtain humility and meekness, imitating His humility and meekness. Let us love and be gracious towards those disdained and those humbled, in order to offer them spiritual help, showing care towards their salvation. The Lord says that when we prepare a table, we should not call people who could call us back for a meal, but paupers and the destitute. He wants us to do this with love, and to always offer with empathy to people whom the world despises, calling them filthy and scoundrels. Our Lord gave us paradoxical and wondrous commandments. He said that He does not desire sacrifice, but mercy, mercy towards all those who need it. A great, uncountable multitude of people await someone to show them compassion, to tell them one word of love and consolation. People wait for someone to show them tenderness and to help them, but instead of this, they meet coldness and indifference around them. But above this, from some, even Christians, they see disdain and disgust. In the eyes of God, he who thus disdains his brethren commits a grave sin. In all things we must be imitators of the Lord and follow His example. Let us follow Him, therefore, and not perceive ourselves as higher than our neighbor, whatever he may be—thief, murderer, or robber—for in the eyes of God, we might all be worse than him. Let us always remember how the Lord behaved towards sinners, how He spoke to the tax-collector Matthew and how He spoke to other tax-collectors, harlots and sinners, and because of this brought about the rage of the Pharisees. Let us not be like the Pharisees, but let us imitate our Lord Jesus Christ. Amen. And now, the Holy Spirit desires to enter our souls, like then [Pentecost], but He honors our freedom, He does not want to violate it. He waits for us to open the door on our own, and then He enters our soul, and He will transfigure it. When He comes to dwell within us, the whole region of our soul is Christ, and then all problems, all delusions, all worries flee. "My name is X. P., I am 46 years old, and I live in Northern Greece. In 2004, I was operated on for a brain tumor. After three and a half years, it appeared again. I visited plenty of doctors, but none would agree to operate on me. I was very depressed and disappointed. Ultimately, I found a doctor who agreed to dare to try this difficult intervention. 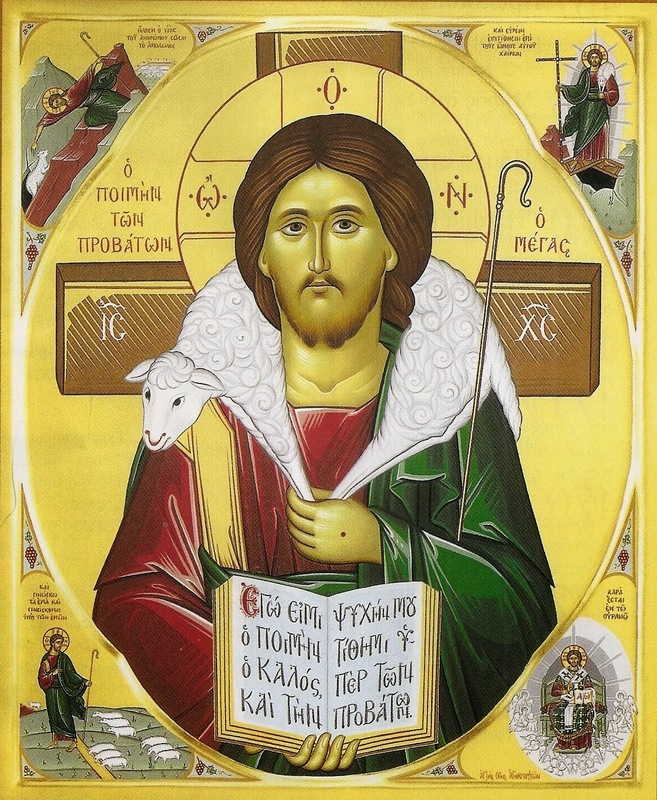 My relatives told me to go venerate St. Luke, who was a physician, and that he would help me, like he helped the others. I made the decision and went to venerate and to pray in the city G. where there is a church of St. Luke. There, I met a pious and humble priest, Fr. K. He gave me strength and courage, and served the Paraklesis for me. I confessed, communed, and left for surgery. One night, I saw in my dream St. Ephraim, and he told me not to worry, and that everything would go well. 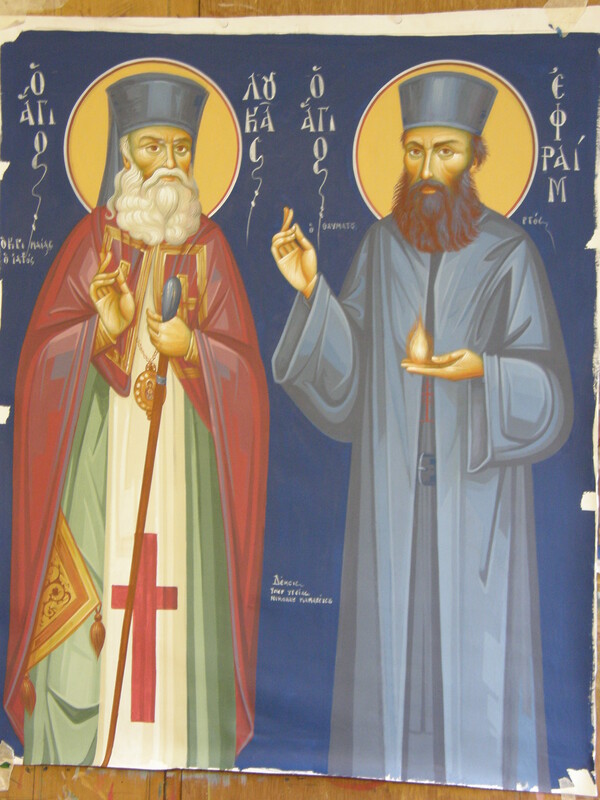 I want to note that I knew nothing about these two saints [before they appeared]. From then on, they became my guardian angels." Heavenly King, Paraclete, [Comforter] Spirit of Truth, present everywhere, filling all things, Treasury of blessings and Giver of life; come and dwell in us, and cleanse us of every stain, and save our souls, O Good One. Portions of the Holy Relics of St. Myron of Crete were found on May 12th, 2014, in the church that bares his name, in the village Agios Myronas. These are portions of bones around 200 in number, which were buried within the Church. The bones are 16 centuries old, as the Saint appears to have lived between 300 and 400 AD. The area is associated with ancient Rauko, where the uncovering of the Relics occurred with the presence of the Archbishop, and by the decision of the Ecclesiastical Council, and took place on May 12th of this year. The revelation of the bones occurred, according to both the faithful and the priests, through dreams and signs. 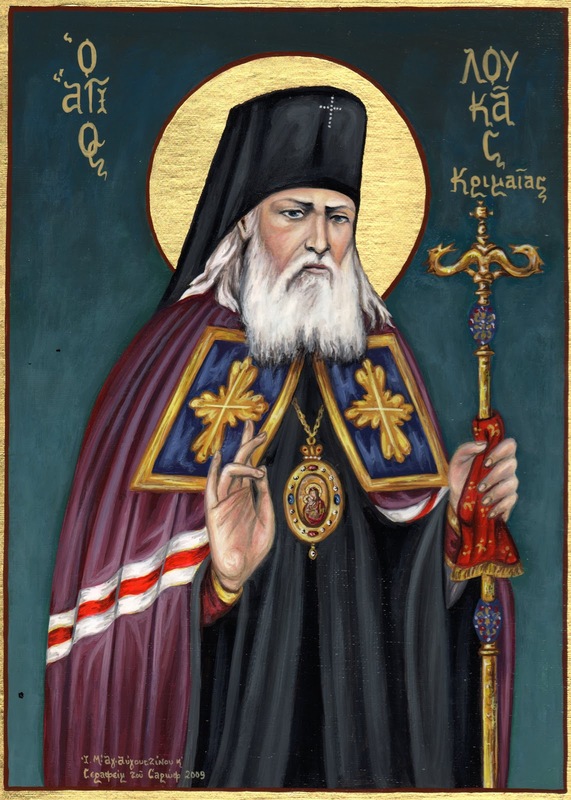 At the Divine Liturgy this Sunday, they will be put forward for veneration. With the presence of the Archbishop of Crete, the uncovering of the Holy Relics took place, and the images are astonishing. Specifically, they removed the marble tile, and a short time later experienced unforgettable moments. They crossed themselves and venerated the Holy Relics. As is alleged, the faithful saw a dream of St. Myron, who asked them to remove him from his grave, taken together with other witnesses that the Head Priest indicated the place were the Holy Relics of the Saint were placed, in the tomb. His life and deeds are inexplicably linked with the ancient city of Rauko, which was the homeland of the Saint, and in his honor, it was later named "Agio Myrona". 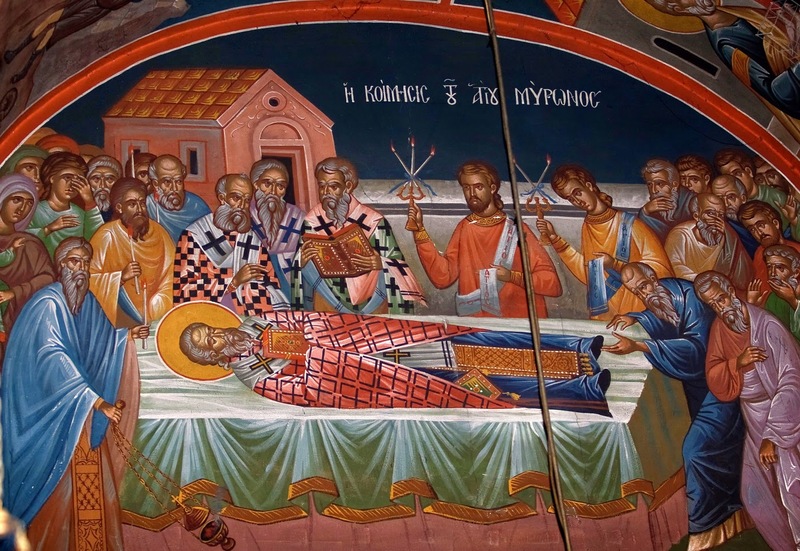 The dormition of the Saint is dated to around 350AD. "Here, for the past year, St. Myron has asked to be taken from his grave. Villagers dreamed of the Saint, along with the head priest Fr. Emmanuel Papadake. Since 1860, the relics of the Saint were gathered within one place within the tomb. "We were informed by the villagers, and when we came to believe that this was not a delusion, we informed the Archbishop of Crete, who gave his permission, which was confirmed by the Ecclesiastical Council. We were very anxious" related the head priest of the Holy Church of St. Myron, Fr. Nikolaos Kritsotakes. 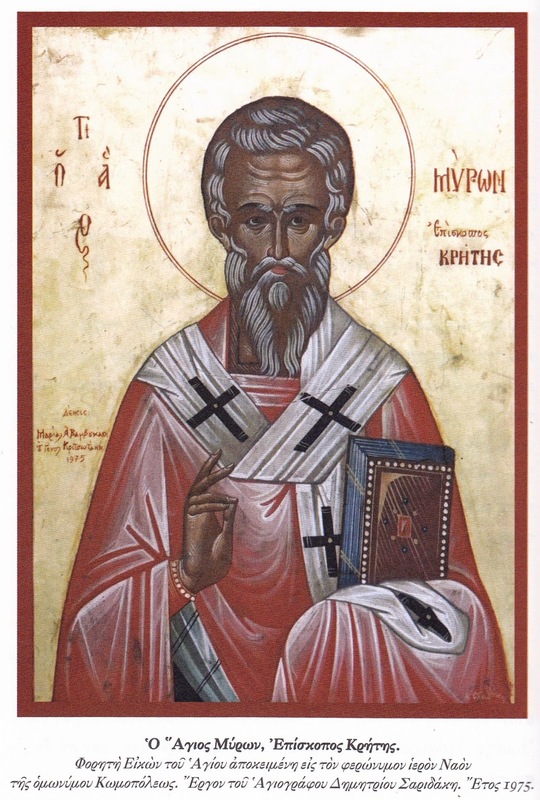 Saint Myron, Bishop of Crete, a wonderworker, in his youth was a family man, and worked as a farmer. He was known for his goodness, and he assisted everyone who turned to him for help. Once, thieves burst in upon his threshing floor, and St Myron himself helped them lift a sack of grain upon their shoulders. By his generosity the saint so shamed the thieves, that in future they began to lead honorable lives. Out of profound respect for the saint, the Cretan people urged him to accept ordination to the priesthood in his native city of Raucia, and afterwards they chose him Bishop of Crete. 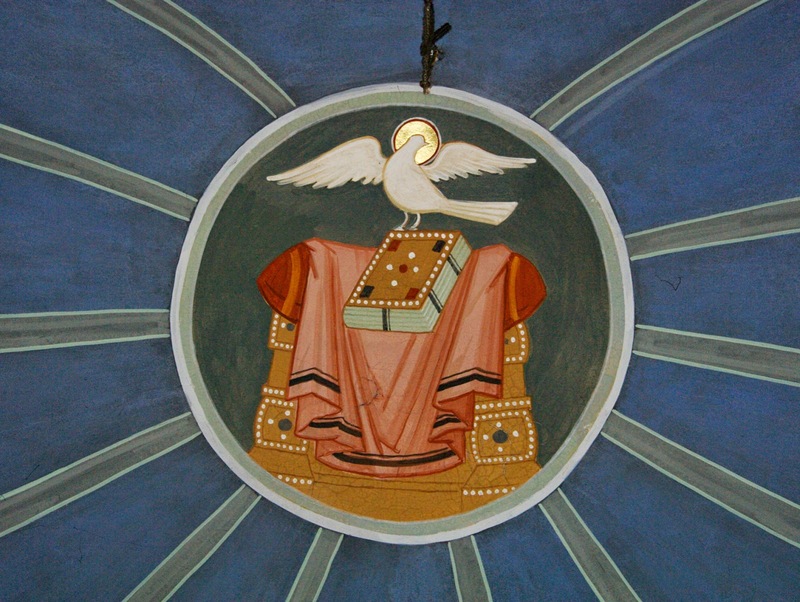 Wisely ruling his flock, St Myron received from the Lord the gift of wonderworking. At the time of a flood on the River Triton, the saint stopped its flow and went upon it as upon dry land, and then he sent a man back to the river with his staff to command the river to resume its course. St Myron fell asleep in the Lord at the age of 100, around the year 350. "On June 8th, 1986, I was on duty in my police service, near the central hospital of Thessaloniki, when I was hit by a "Molotov" bomb. I suffered serious trauma. In the Hospital "Hippocrates", where I was transferred, they let me be, because they thought that death would come soon. I remained in life, but I had lost all contact with my environment. 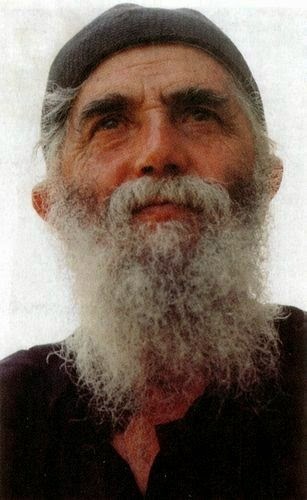 The Elder [Paisios], from the first instant I met him, told me: "You will suffer greatly, but you will live." "After a few days, I somewhat came to my senses. But one day, however, I felt as if I were dying, and I told the nurse: "My sister, I'm dying, I'm dying." I began then to ascend and leave the earth, to travel among the stars and continue through the galaxies. This is the explanation I gave at that instant. I kept ascending, ascending, and before me went a light, like a lit lamp. Straightaway the journey stopped. I began to move in reverse and landed. I found myself in the hospital, with a tracheotomy and doctors around me, looking at me. "Five days later, I met the Elder in Souroti. He embraced me, kissed me, and I began to relate how I died. He cut me off, saying: 'Hey, my blessed one, we went together to the other life and returned. Didn't you see me?' Then I understood what that light was that I saw." 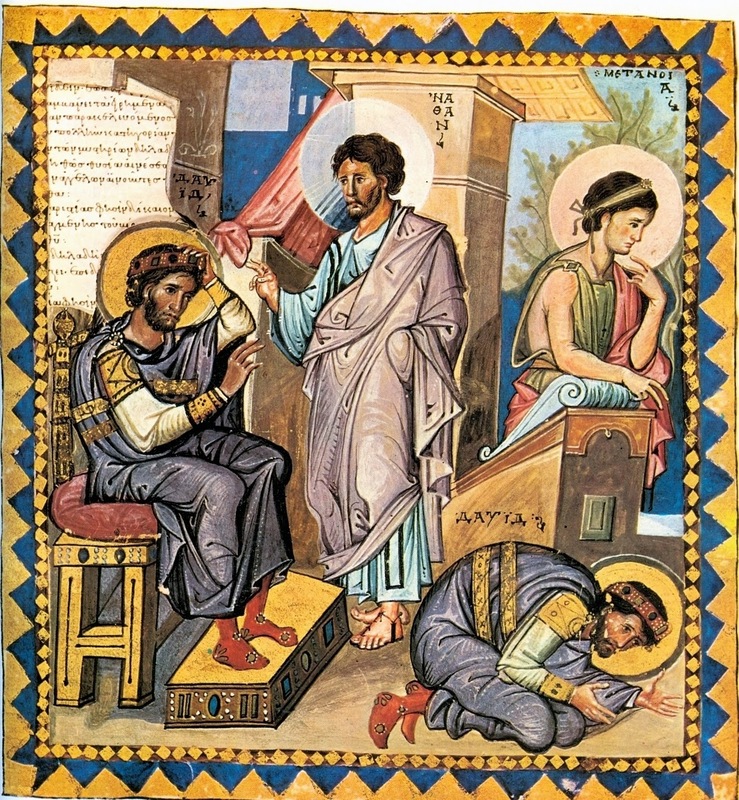 Amateur translation of text from source: Geron Paisios Enas Sygchronos Agios (Elder Paisios, a Modern Day Saint), published by Papademetriou, Athens, 2009, pg. 78.